So true! This is my second year of gardening and I am totally enjoying every bit of it. 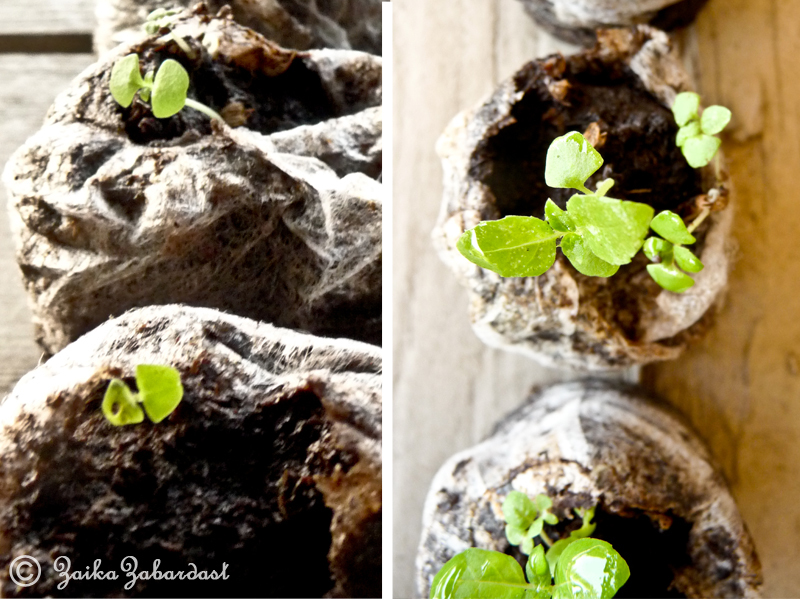 It gives me a satisfaction and of course it is pure joy to watch your plants grow closely. You get to see every bit of progress closely. 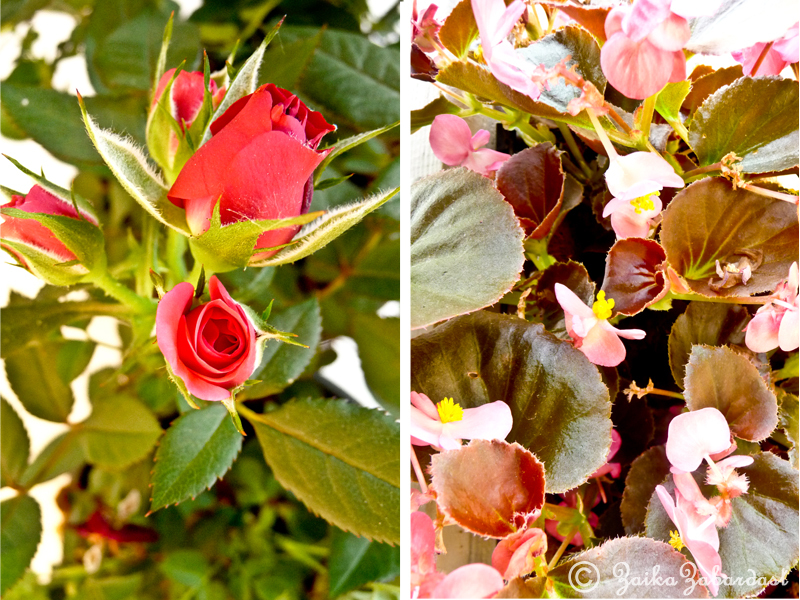 Whether you plant the seeds or buy that tiny plant from Lowes, it is interesting to see how it grows from seed to sprout, sprout to blossom and from blossom to fruit. 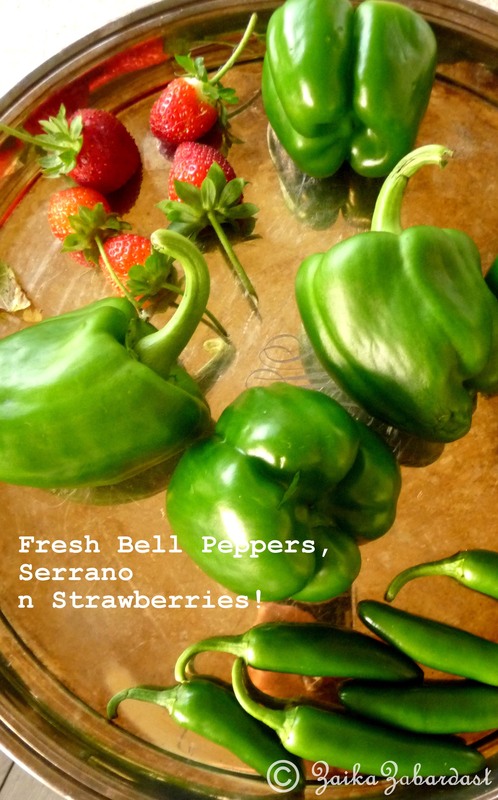 This year we are growing variety of Tomatoes, Eggplant, Bell pepper, Thai chili pepper, Serrano, Strawberry, Okra, Basil, Thai basil, Mint, Rosemary, Thyme, Chives, Roses n some other flowers! 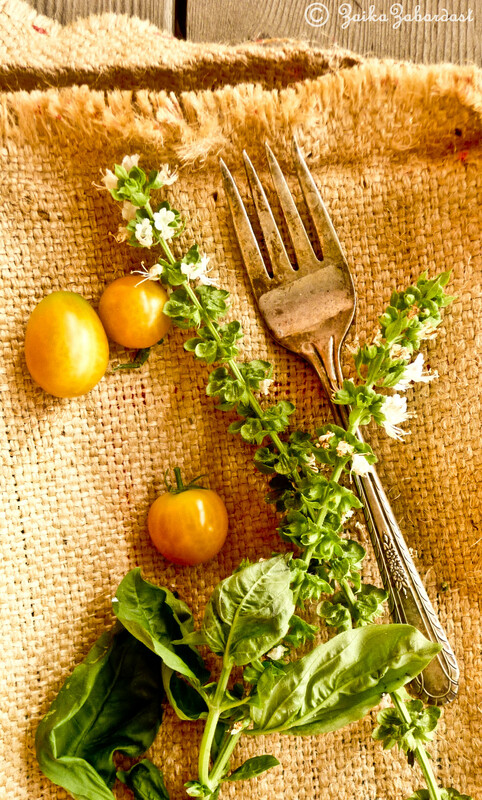 Herb plants – Herbs can make any dish flavorful. And little bit goes long way. 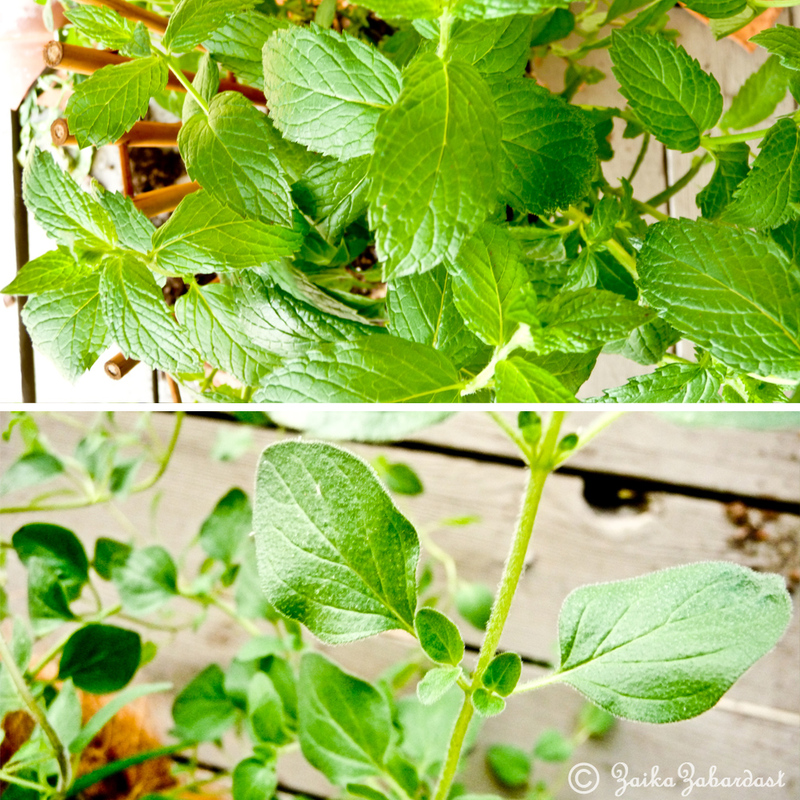 Tip: Mint can takeover your garden easily so it is advisible to plant it in a pot. 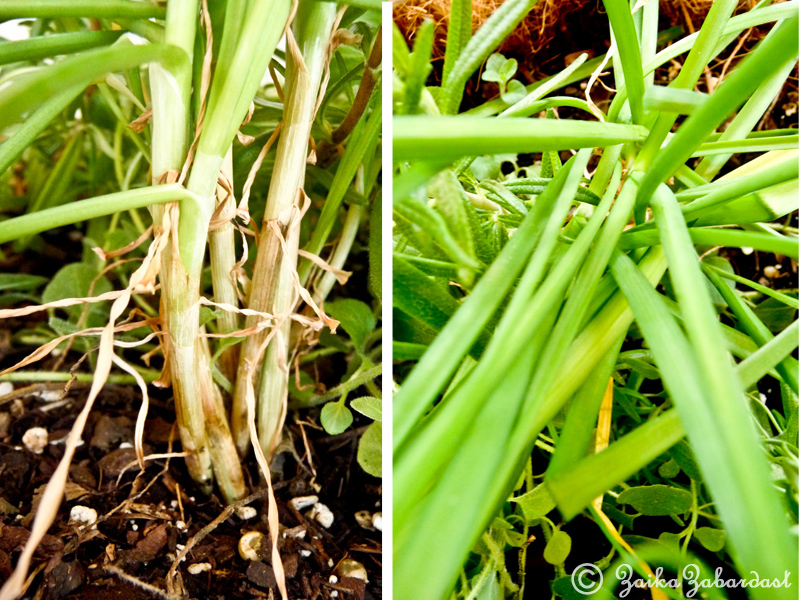 Chives: It has mild onion flavor so kind of green onion but with less sharp flavors. 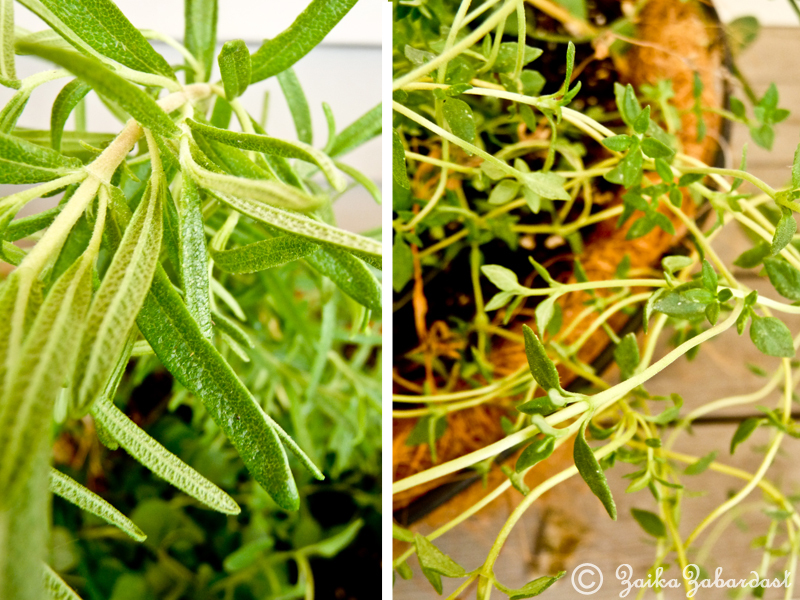 Rosemary, thyme, oregano or any herb : Use to make flavored oil, add a bit of it to any dish that will make it way flavorful. 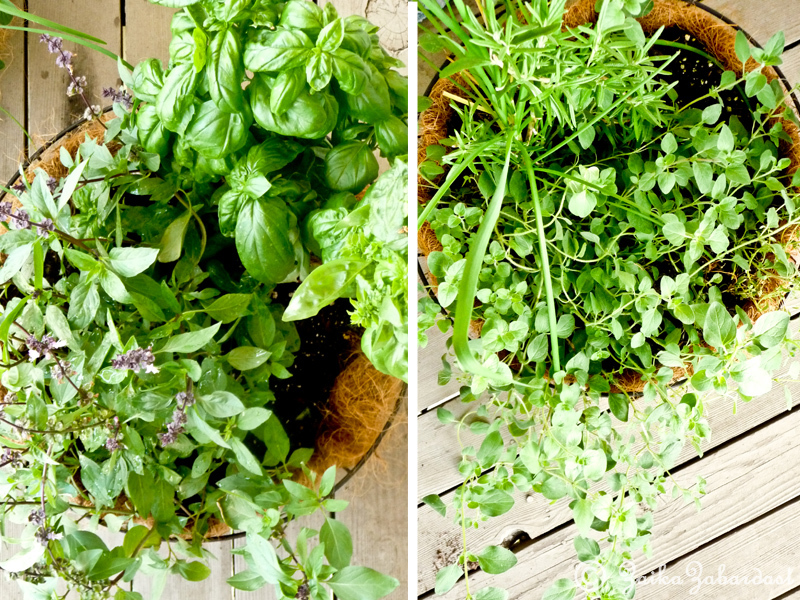 Herbs are like magic ingredient. 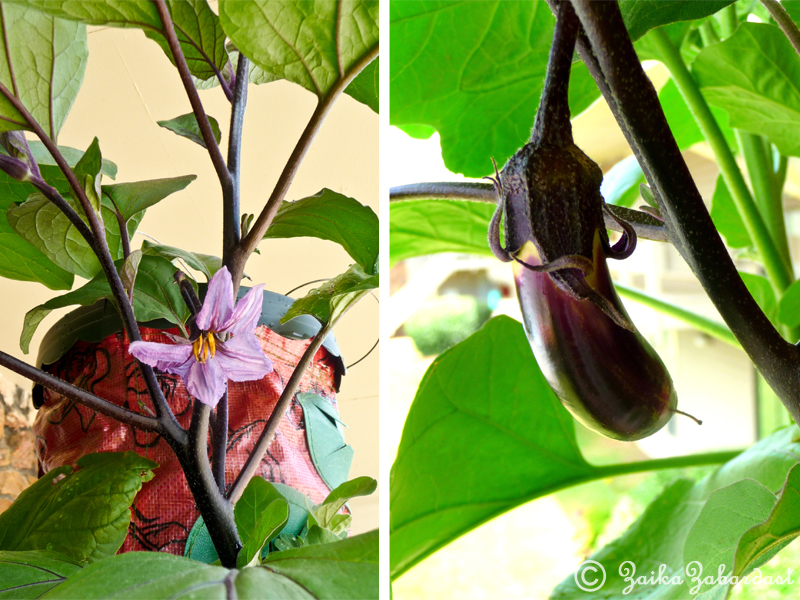 Beautiful eggplant blossom n tiny Japanese Eggplant! 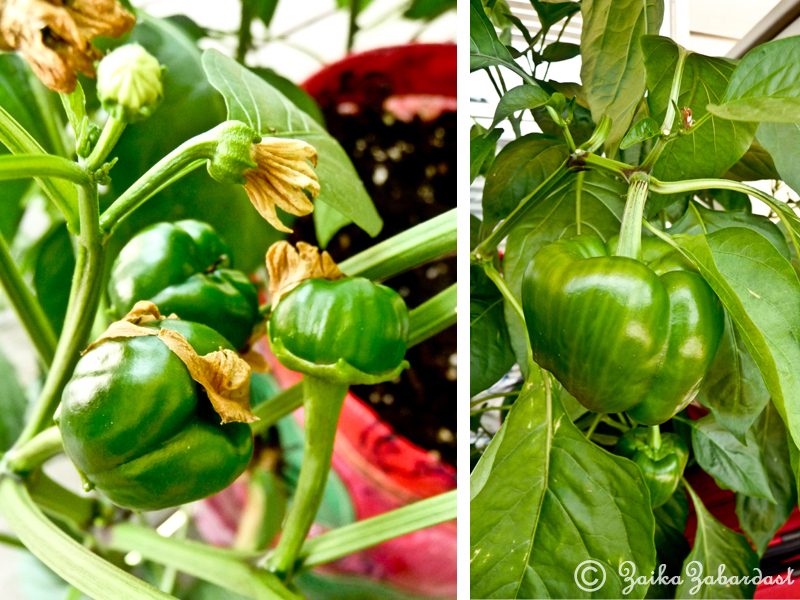 Bell peppers: Use it in salad, make a curry or fill it with quinoa or couscous. 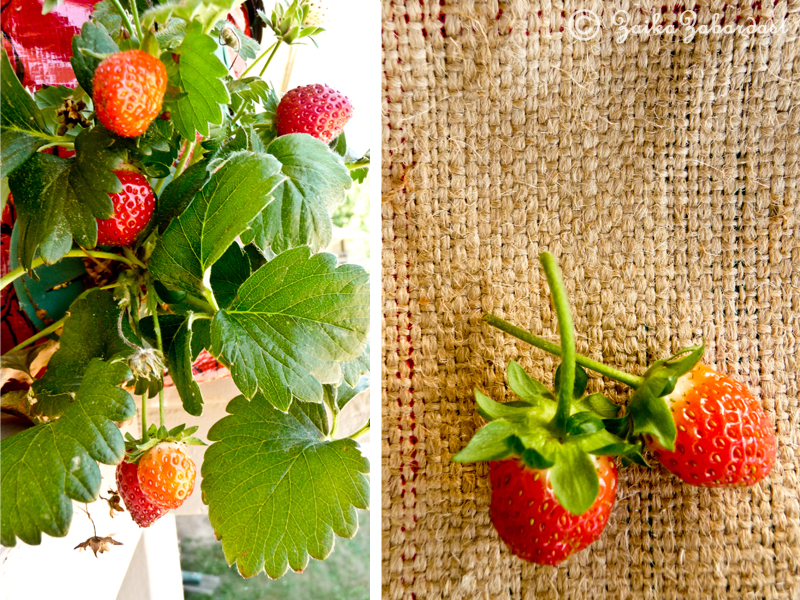 Strawberris: Our all time favorite fruit. Make smoothies, pies, crumble or just munch on it. 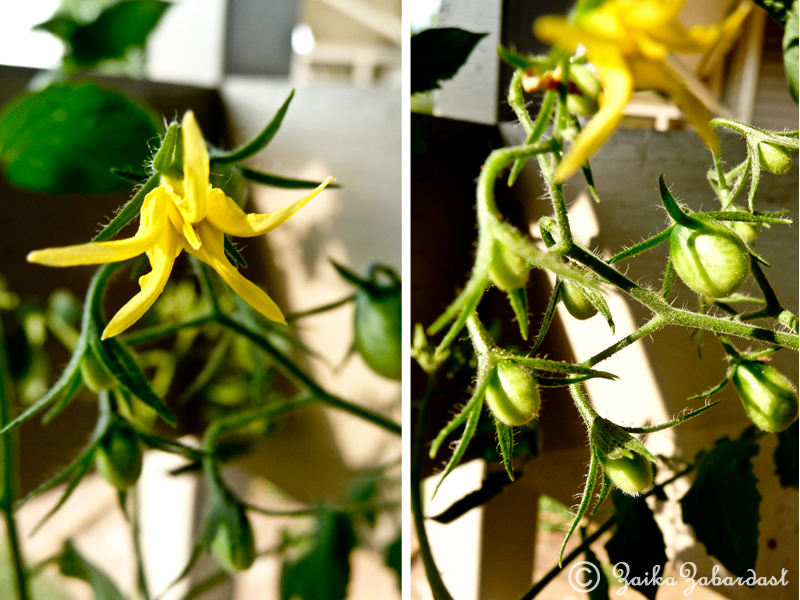 Gorgeous tomato flower and tiny little tomatoes. I even wanted to try root vegetables, but I think my patio will not be able to handle the weight of huge containers. 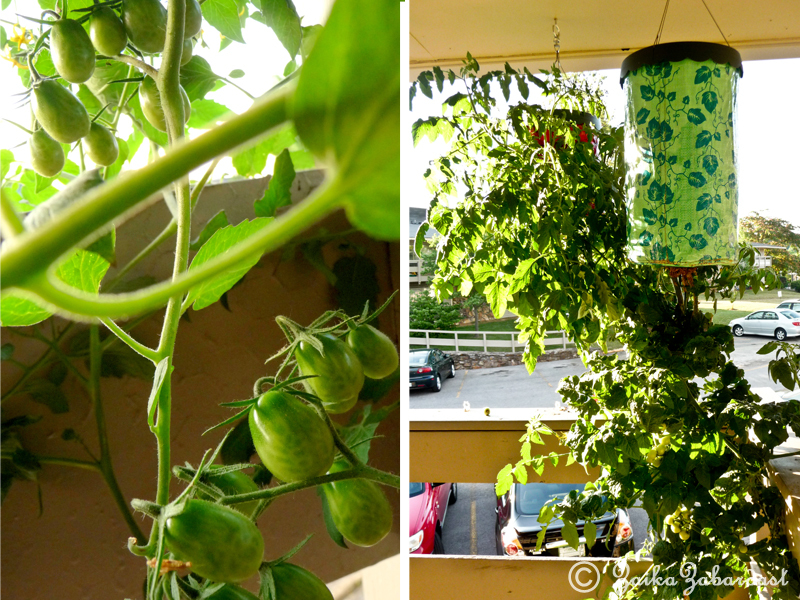 Yes, I am growing all the above mentioned vegetables in my patio. Some of you might be surprised, but yes, it is absolutely possible. All you need to grow beautiful garden is care, love and passion. Then it is absolutely FUN. Oh and in this HOT weather, it definitely needs lottttss of water. 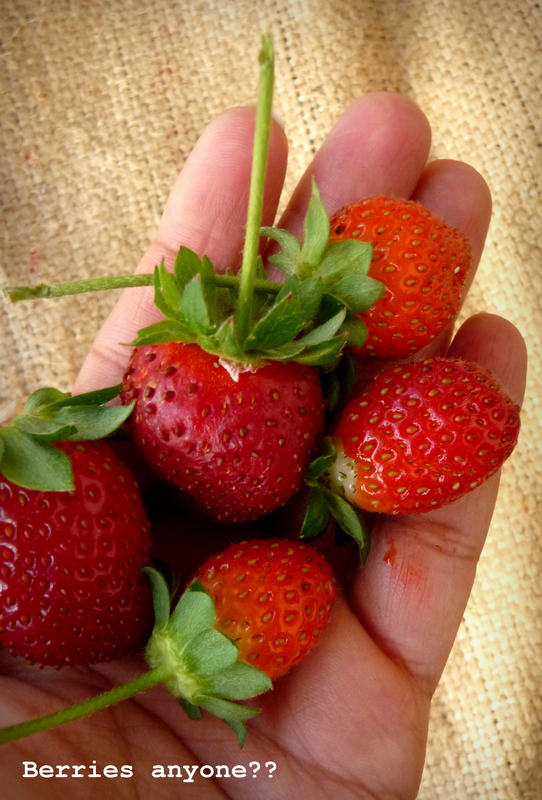 But all this hard work is absolutely worth when you harvest your first batch of strawberries or tomatoes or bell peppers or anything that you are growing. It’s PURE JOY! 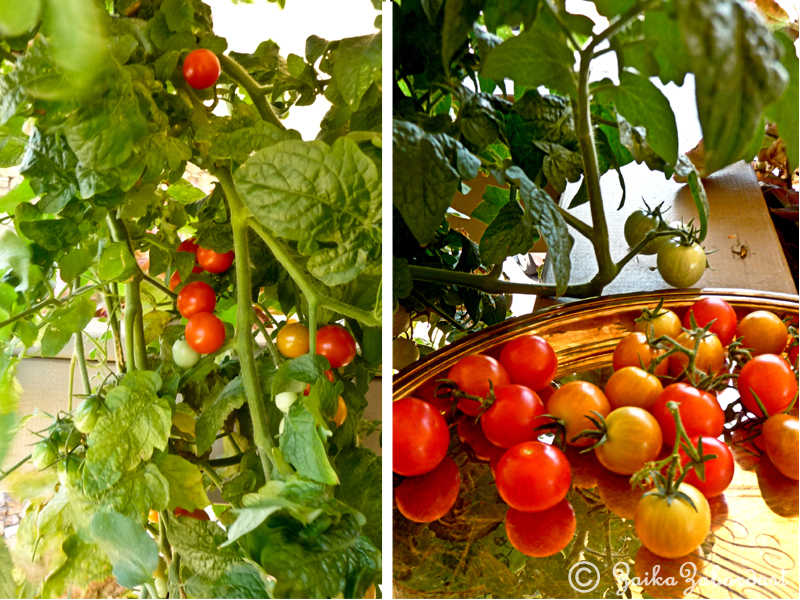 So now what do you do when you harvest lots of tomatoes? 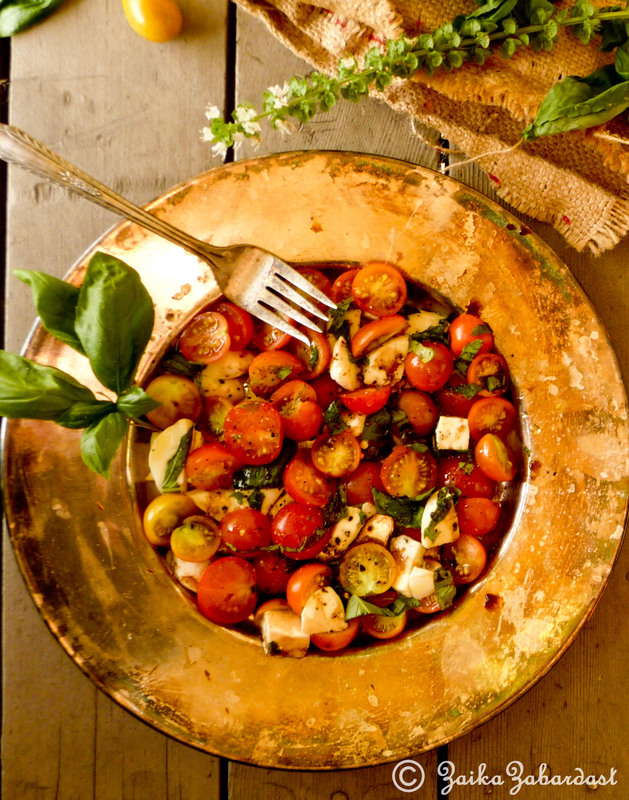 Make ice-ceam, or thai chutney or this easy Caprese salad! 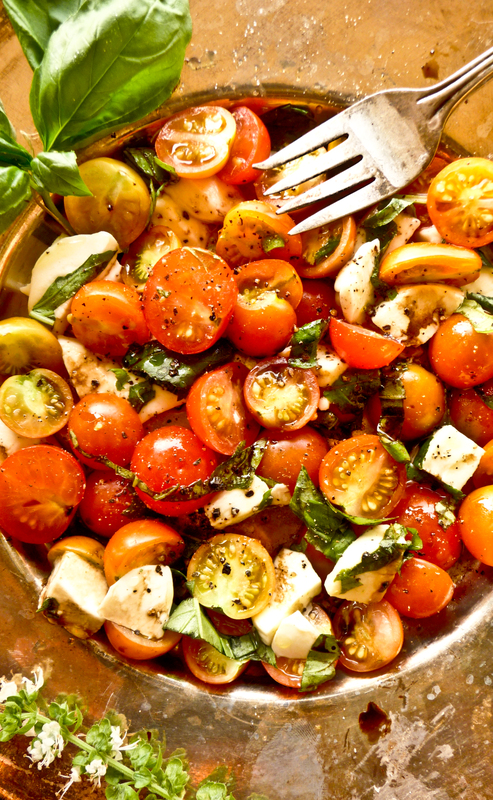 Slice tomatoes and fresh mozzarella in a bowl/plate. Season with salt and pepper. 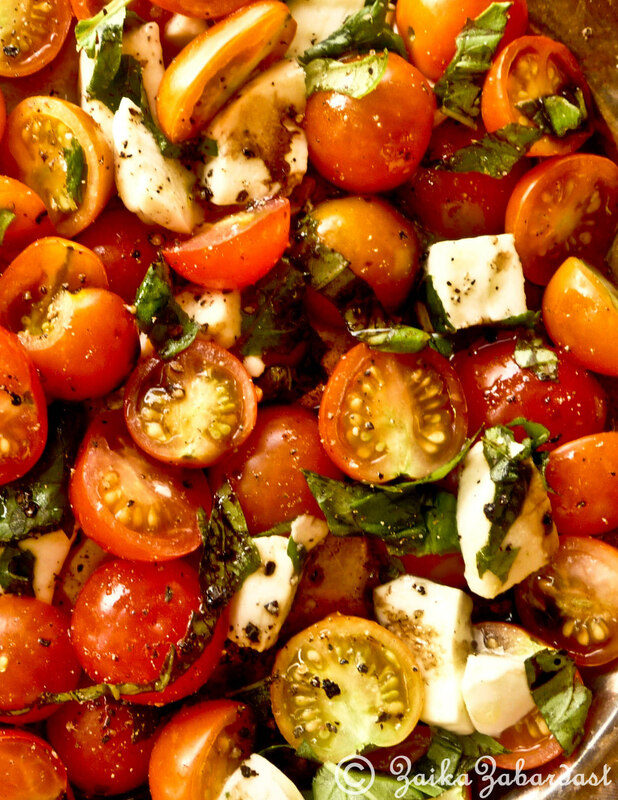 Drizzle some EVOO and Balsamic vinegar. Garnish with juliened basil leaves and serve. 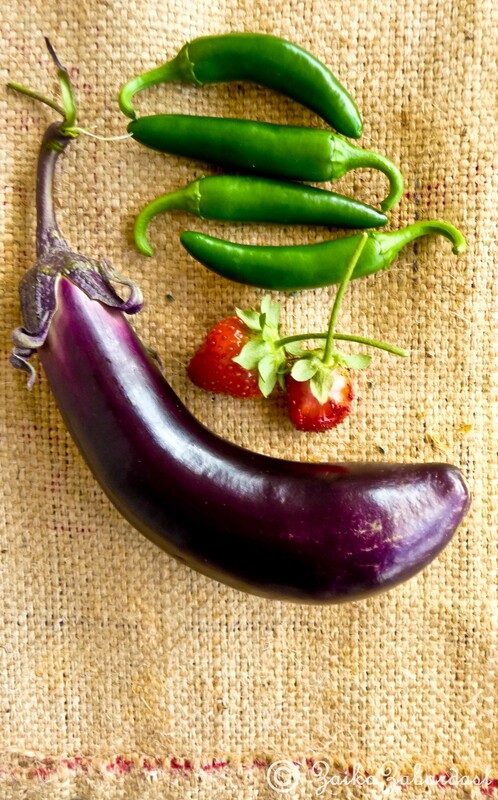 Question: Are you growing anything in your garden? If Yes, I would love to hear about it and if you have a link of your garden post or pictres, would love to see it. Lovely, lovely photos and that salad!!! Beautiful to look at, refreshing to contemplate! Beautiful! Gardening is so much fun! Kankana, thanks dear! I also do not have a backyard but I do have a large patio. 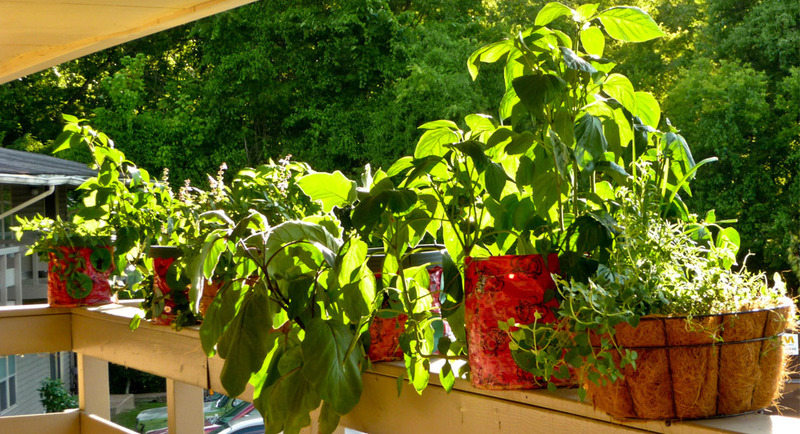 You can also grow almost anything in your patio if you have some place to hang the planters. 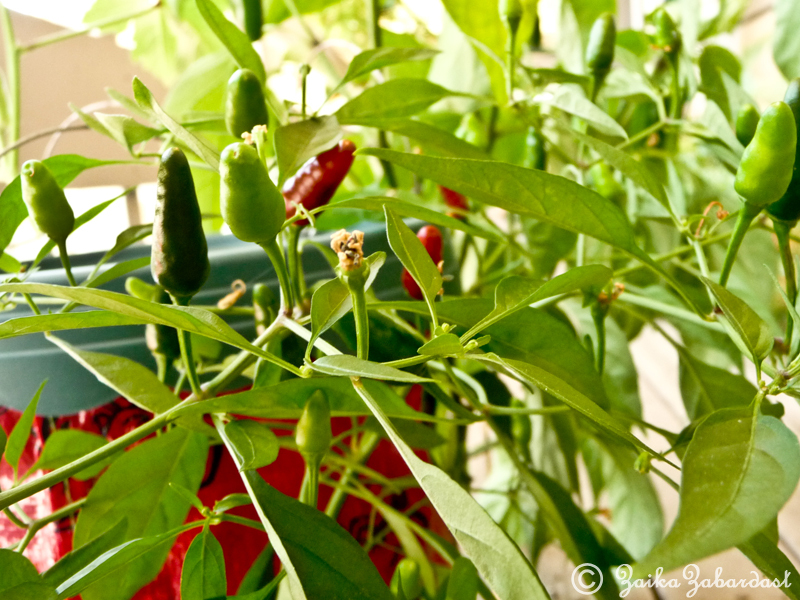 Okay, that’s it!l Next year I am going to do my garden plot in pots…your veggies look so good and healthy. 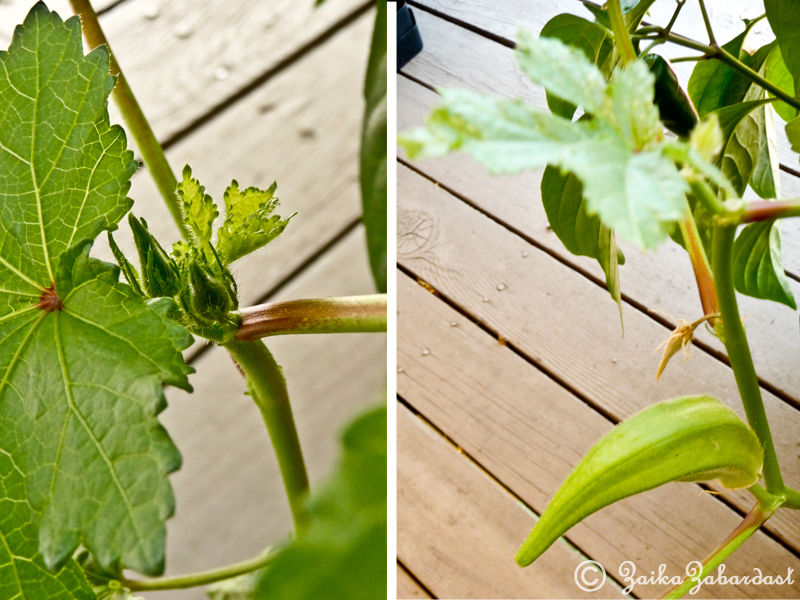 My veggies in my garden look sad…no matter how much I water. Did you do everything in pots? What kind of soil? From seeds or plants? Gardening is always a learning process. Yes, gardening is a learning process. And I am really enjoying every bit of it. 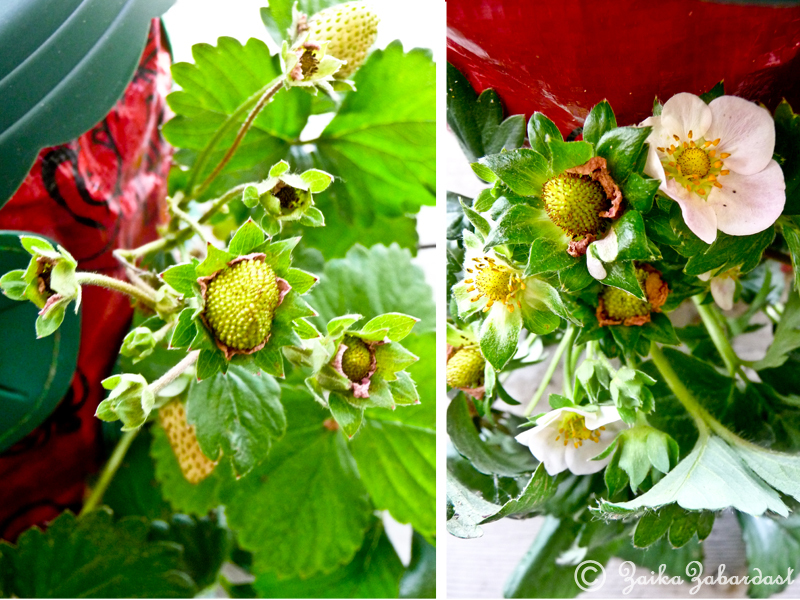 I grow everything in pot because I do not have proper backyard. 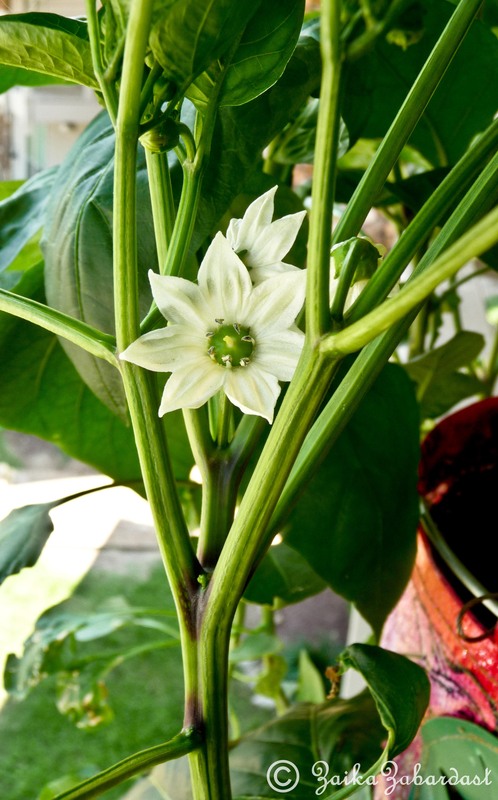 I bought tiny plants of almost everything (that actually helps) and I even grow some from seeds (for that I first use tiny greenhouses – makes them sprout faster). I can grow almost anything in this cute planters. And so far it is working wonderfully. About soil, I use miracle grow’s moisture control soil.